You’ve heard the term. People with millions of followers who no one outside of the millennial generation knows or gives a hoot about. They are the models, comedians, and actors who have earned a name for themselves online. These days, though, a sizeable social media following can get you signed to a big-name agency. Not only are agents looking at your social media, but casting directors, producers, and fellow actors are, too. Here are seven tips to ensure you’re putting your best foot forward on one of the world’s most popular apps. Your identity, that’s what! Like a stage name, your Instagram handle will determine your online persona. Make it memorable! 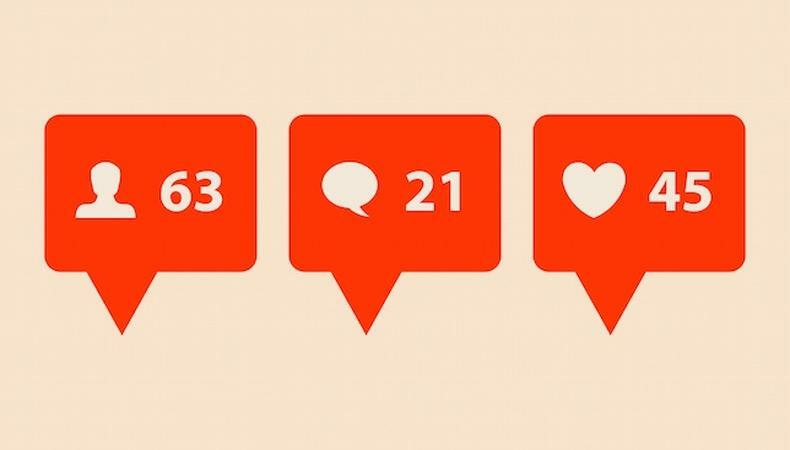 Specificity is often key when it comes to building a following online, and having a solid through line to your posts—even if there’s the odd departure—will attract a fanbase. Are you about bringing positivity to the acting world? Are you an actor-model with a lot of cool photos to show for it? Are you a comedian? Share some of your material! Just be sure your passions are clear and your voice is clearer. First impressions are a one-off. Make sure the first thing people read about you is exactly what you’re hoping to tell them about yourself, your interests, and your sense of humor. And don’t forget to take advantage of Instagram’s bio linking capability. You could keep it basic by always having your website up, or you can try switching it up every so often. Supporting friends and their projects along with your most recent work is never a bad idea. Show your audience who you are and what you support from the get-go. Master the hashtag, young grasshopper. Outside of word of mouth and the explore page, hashtags are the best way to have people discover your page. Create a specific hashtag for yourself and your brand. If Beyoncé can have her #Beyhive, you can have yours. Your name’s great, but something quippy that sets you apart from the rest of the Jane Smiths out there is better. Once you’ve created your own personalized tag, use it as a marketing tool across all your social media. When it’s big enough, you can add it to other elements of your marketing package like your email blasts, posters, and your website. Take your time to think about which to use, and don’t forget the hashtags everyone already uses! They are so #instagood and you will feel so #blessed. Social media shouldn’t be a one-way street. Yes, if your content is great people will tune in, but being part of the conversation is just as important. If someone comments, take time to reply! Always say thank you if someone offers a compliment. Comment (a lot) on other industry members’ profiles. But try not to self-promote too often—it gets gimmicky really fast. Use geotags to locate things happening in your area; use hashtags to find people in your sphere; follow influencers in said sphere—whether it be theater, comedy, dance, or Drunk Shakespeare. In order to keep your audience’s attention, you have to give them something to keep returning to. Set up a daily or weekly plan for your posts. Don’t over post. If you’re really into planning, you might want to write out your captions ahead of time. If you’re pushing your Instagram posts to other social media platforms, consider how it’ll read on Tumblr, Facebook, Pinterest, and especially Twitter. Neil Patrick Harris is a master of the leading Instagram tweet. No matter what you publish just make sure you are giving people something to look forward to on a regular basis. Don’t know what makes a great picture on Instagram? Find out. Not only will you pick up some skills that might help you in your next headshot session, but it can also help you better understand elements like lighting and composition, which are big factors in film and television. People can tell when you love what you do. And who wouldn't want to follow someone like that? Now that you know how to sell yourself on Instagram, see if you can see yourself in the audition room! Check out our commercial audition listings!